Our journey through life, love and loss. I am blessed with a great husband. Joe and I married on a beach in Jamaica on April 9, 2008. After a few years we tried to expand our family. After about three years of “trying”, we found out I was carrying Zoey. 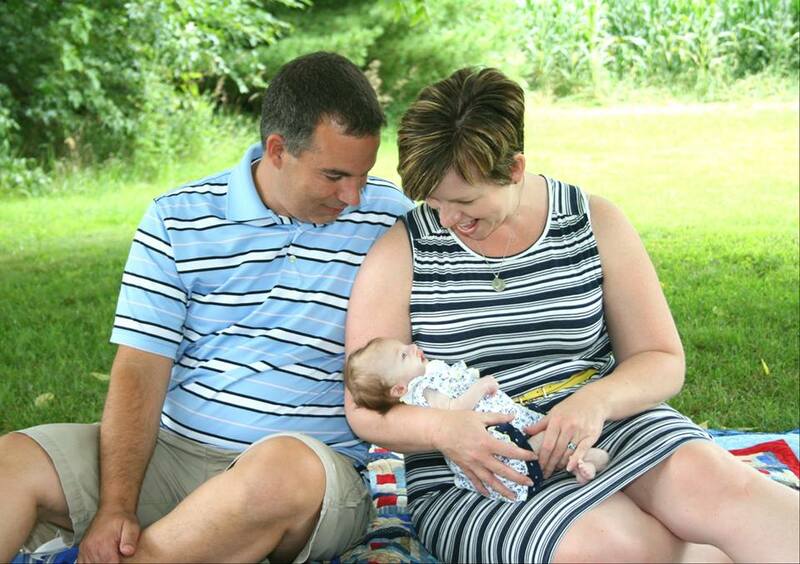 A short time into the pregnancy she was diagnosed with Trisomy 18. It would limit her life. We were blessed to officially meet her on May 1, 2014. She spent 3 months and 27 days with us. During my pregnancy and her life, I kept everyone up to date through Caring Bridge. After we lost her, I thought it was time to move on but still wanted to write. It’s very therapeutic for me. I made my way to the blog world and we’ll see what happens. The writing helps me, but I also hope it helps someone else. Maybe another mom won’t feel so alone. Or so crazy. Because this whole grief thing is a strange world and will definitely make you question your sanity. I feel like this is what I need to do. More than anything I want to honor and remember the life of my beautiful daughter and keep my family strong. Thank you Dawn for sharing your journey with all of us who love your sweet Zoey. If anyone can help another mommy going through a similar situation, it is you. Hugs & prayers to you and your husband. I had no clue about any of this until I was trolling your fb page today. I just read all of your blogs. You have an incredible way with words. My heart bleeds for you. I have a 9 yr old daughter and I just cannot even allow my mind to entertain the devastating notion of how I would go on if ever I kost her. You are an inspirational mother and person. Best to you and yours always Dawn.